"If I wanted to cook with gas, I'd be in the house!" The outcome of this recipe was a bit of a let down. I think I dropped the ball in execution of the final roast/smoke. It tasted good and was very flavorful, but I wanted a butterflied bird with deep crisp mahogany skin and juicy flavorful meat. 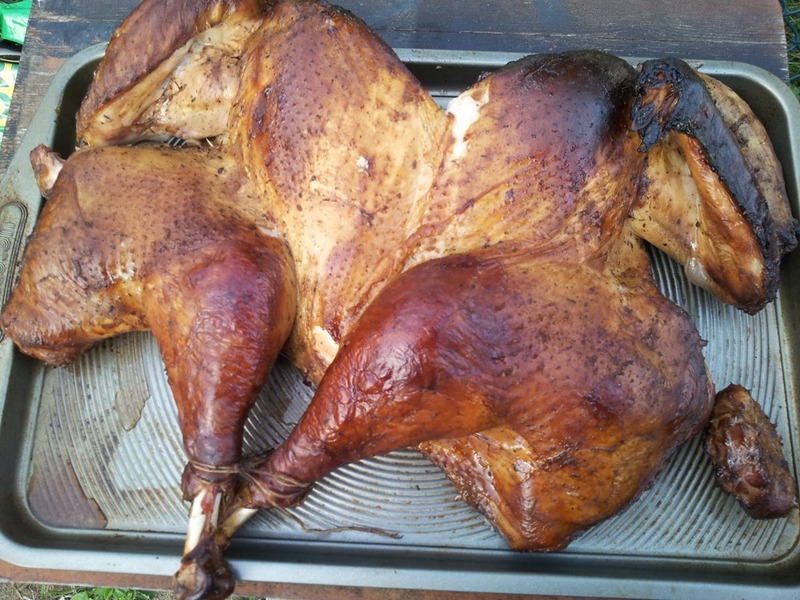 As you can see from the pic above not all of the bird came out perfect. Now the meat was juicy, but I think the air was too humid, and in my rush to get the bird onto the grill, I sacrificed some crispness in the skin. 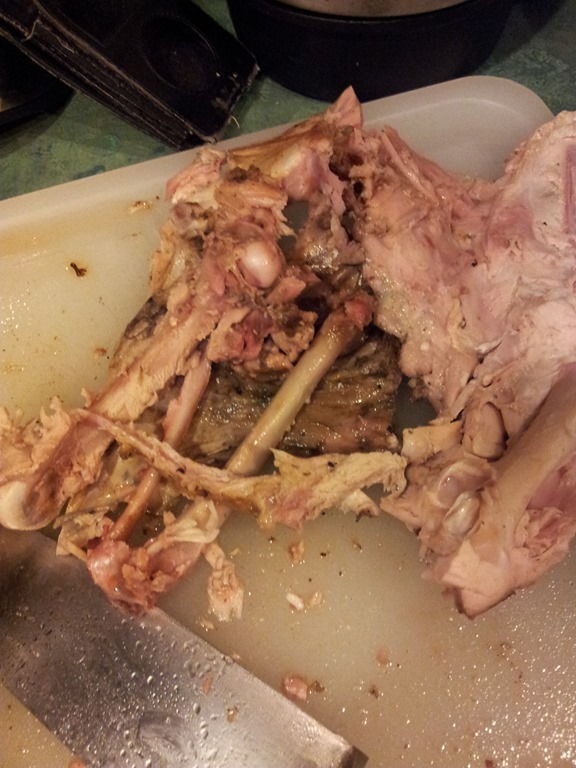 Much to my dismay, my family pulled the skin off and left it in the plate. = FAIL! Let’s get on with the play by play. This cook is sponsored by my favorite beer of all time! 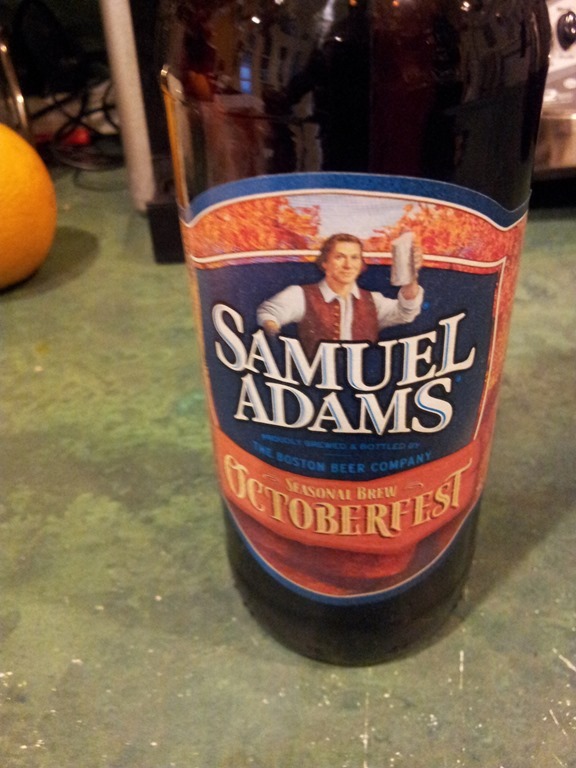 Sam Adams Octoberfest! 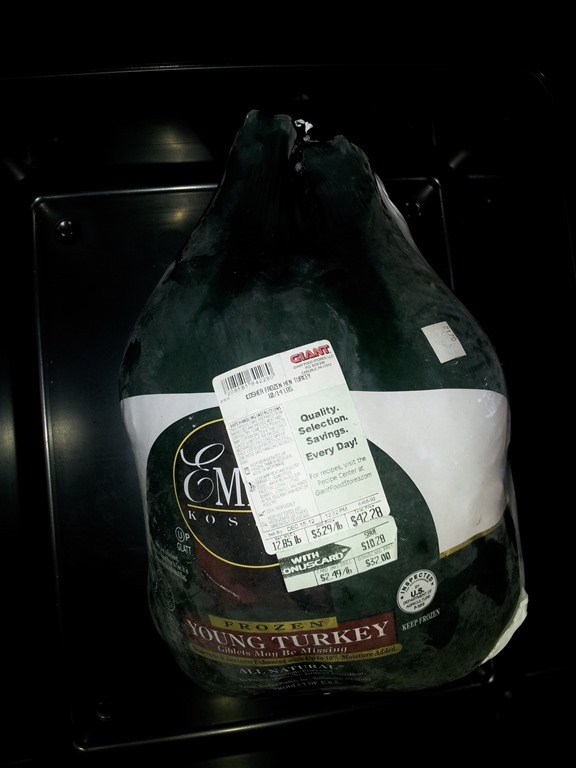 I took this 13 lb turkey out of my freezer to thaw in my refrigerator on Tuesday. The bird wasn’t ready to work with until Saturday. 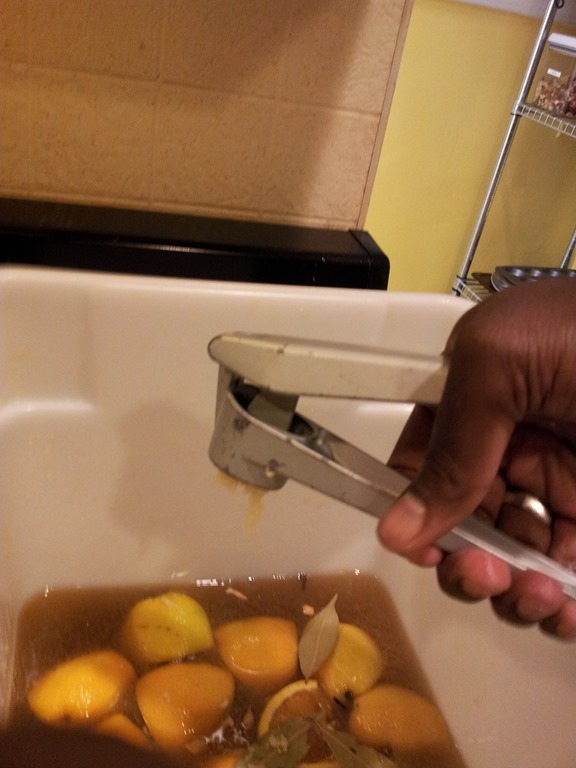 * Substitute 3/4 cup Morton Kosher Salt or 1/2 cup table salt for Diamond Crystal. 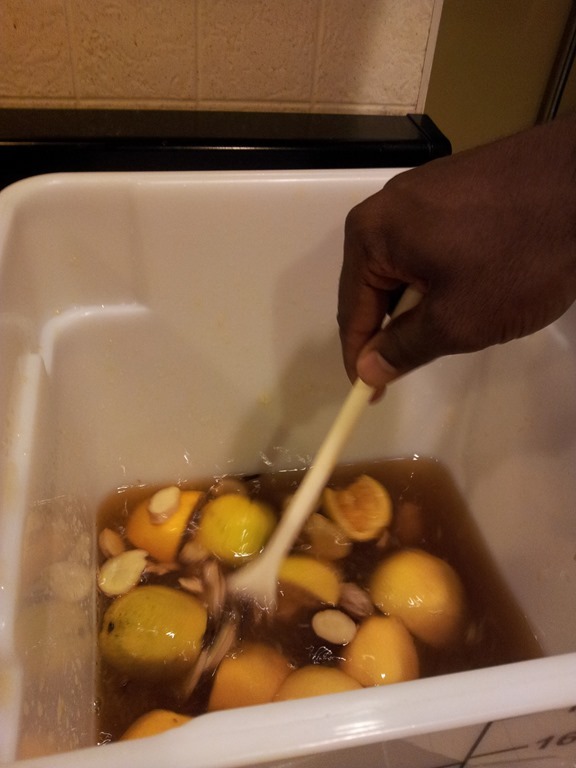 Squeezing lemons, crushing garlic, slicing fresh ginger root, and stirring in all up…. 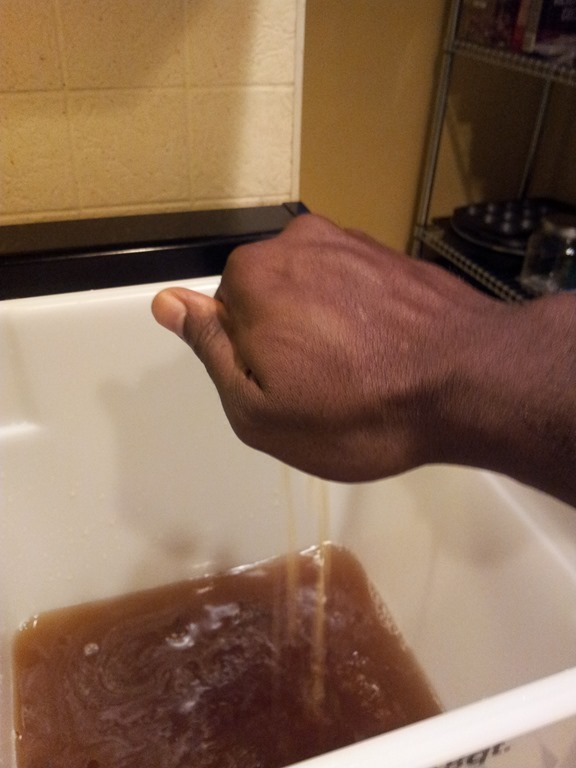 The turkey going for a dip… I only brined it for 18 hours, I should have done a full 24. But with me losing a day not pulling the turkey out of my deep freezer earlier I didn’t want to be pulling this off my grill at 11 Sunday evening, so I cut it short by 6 hours. 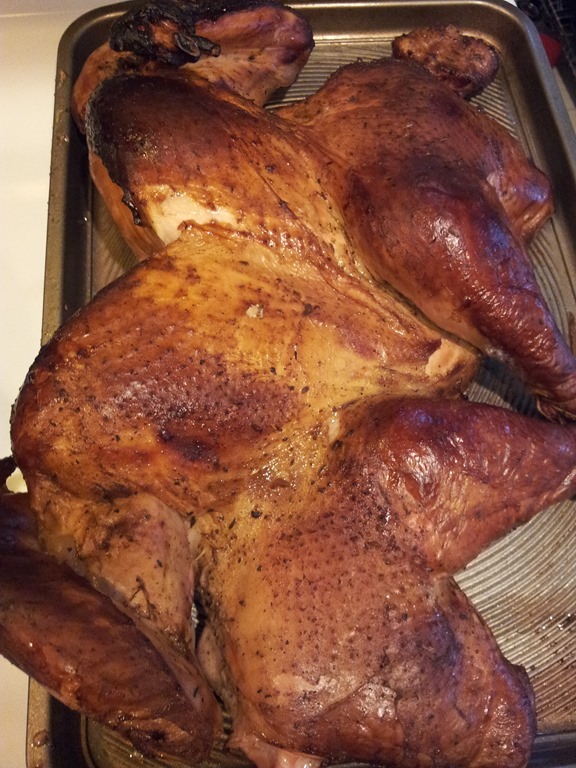 18 hours later, I’ve rinsed the bird and patted it dry with paper towels. 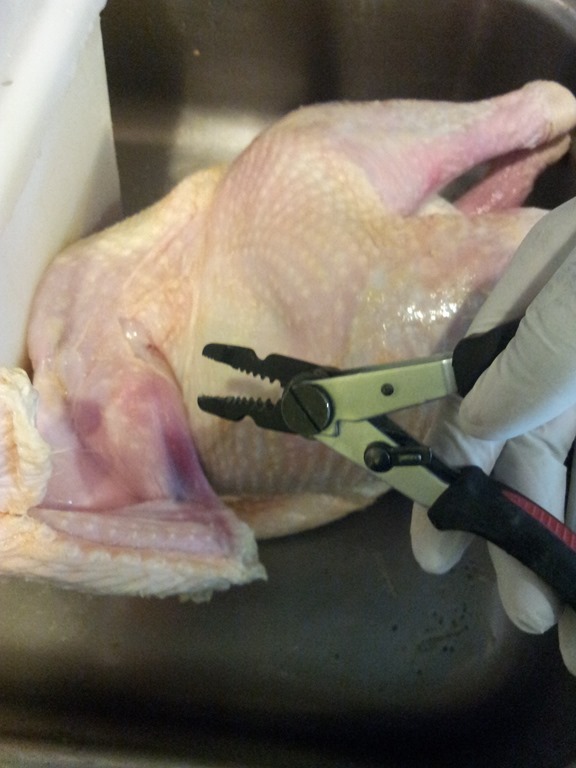 Just going after the last few stubborn feathers with the first pair of pliers I found laying around. Instead of the usual slow and low, I set my grill for a slow and high configuration. Looking to get a solid 300 –350 degree ranges for 2.5 to 3.0 hours. 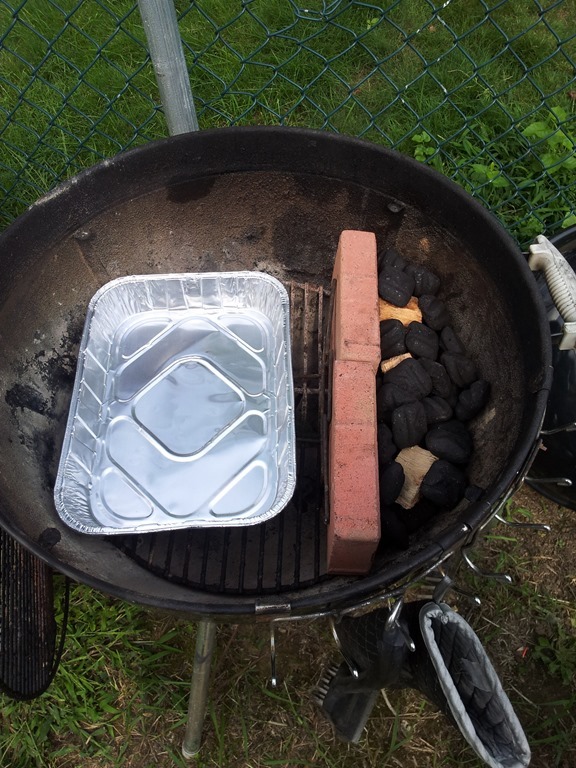 The 2 bricks allow for more coals on the side, and the added benefit of radiating the heat toward the rest of the grill. 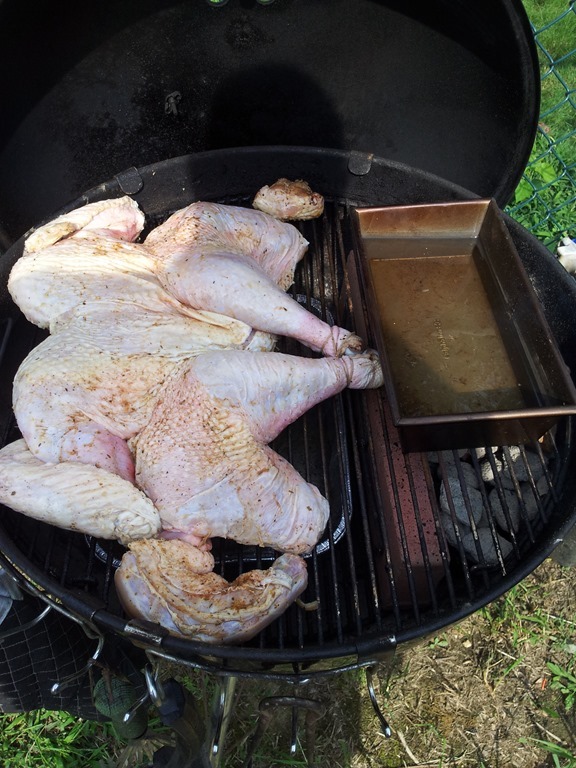 In addition to the drip pan under the turkey, I grabbed a spare pan to provide additional moisture to the side. Hindsight, this secondary pan probably made it too moist. Also, I don’t think I used enough wood chunks. 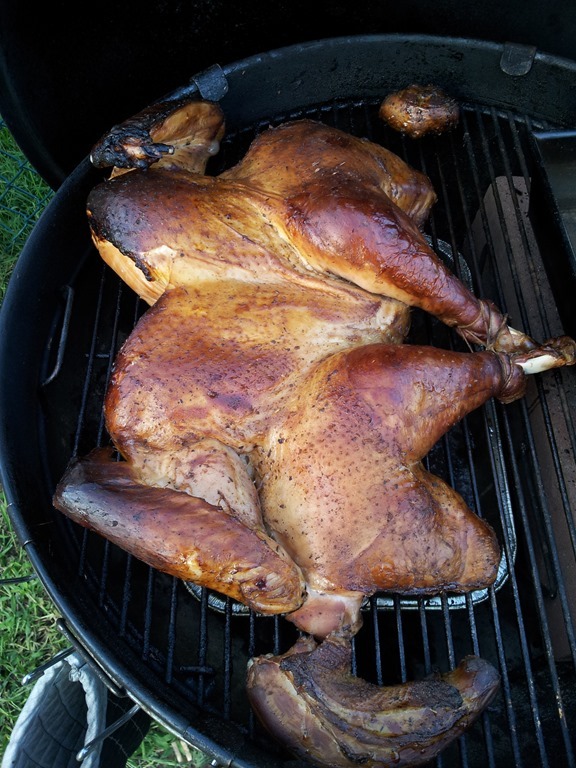 Although the bird had a smoke ring, it was very light. 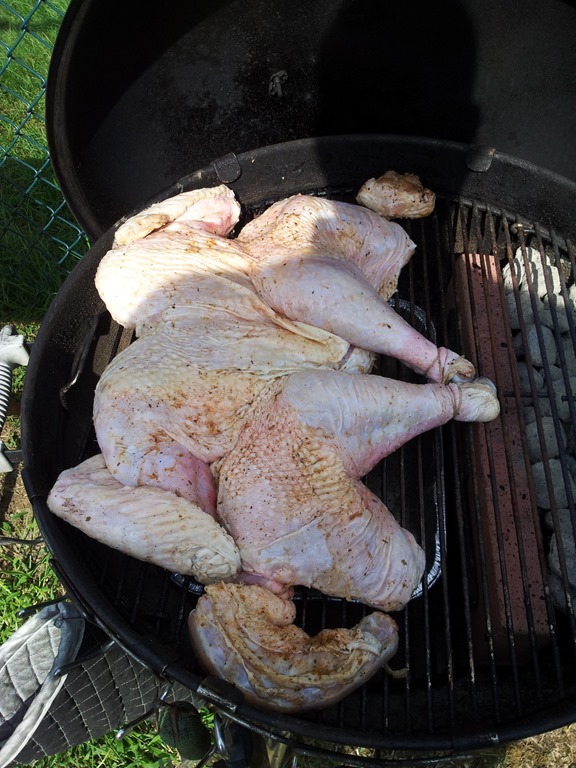 The butterflied turkey splayed out, rubbed with a couple of tablespoons of a generic poultry blend I had purchased. <- Again mistake, I should have mixed my own blend and not taken the lazy way out. Do you see a pattern yet with these mistakes? I rushed my own barbeque and wasn’t satisfied with the results. Shocker! 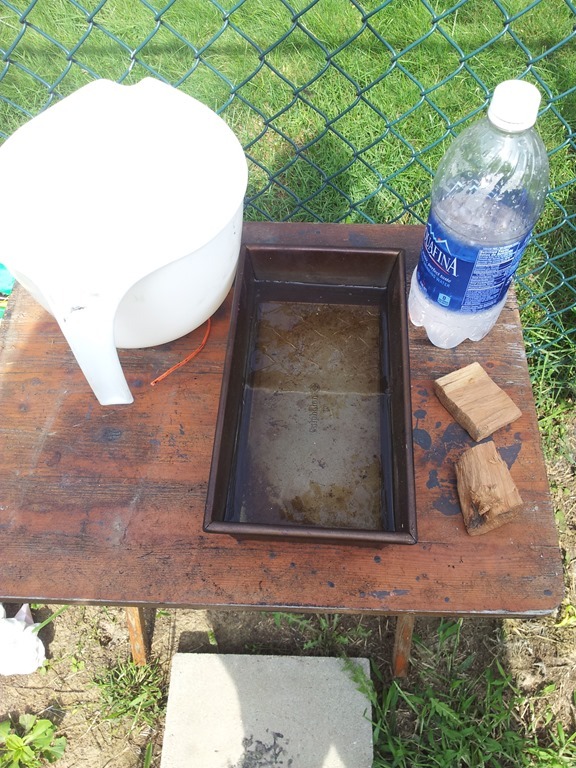 Here you can see the second water pan. For some reason I was really afraid of the temperatures getting away from me. 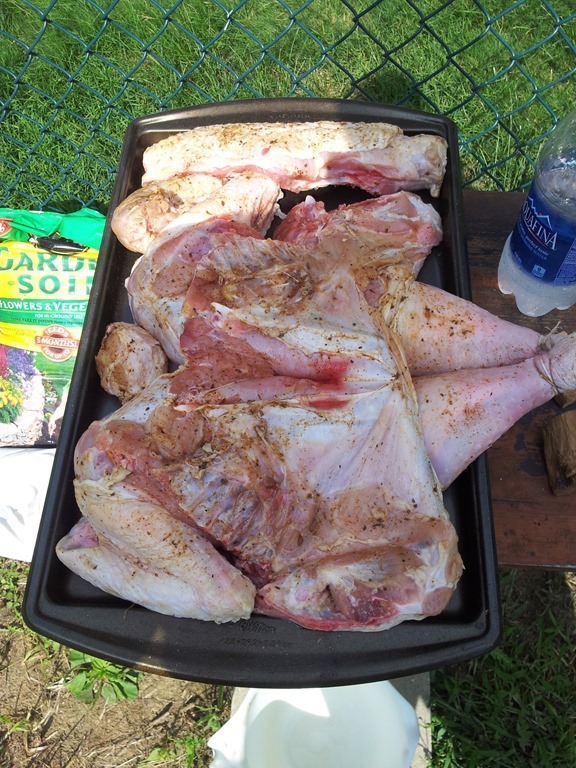 With the secondary pan it probably turned the inside of the grill into a sauna instead of a moist environment. Bird pulled off the grill and sitting in a tray on its way to the kitchen. Event though I wasn’t too fond of it, this is what we did to that bird in one night! The rest were leftovers I took to work the entire week. It is my firm opinion that every grill cook needs a supportive beverage. Preferably one with some alcohol in it. 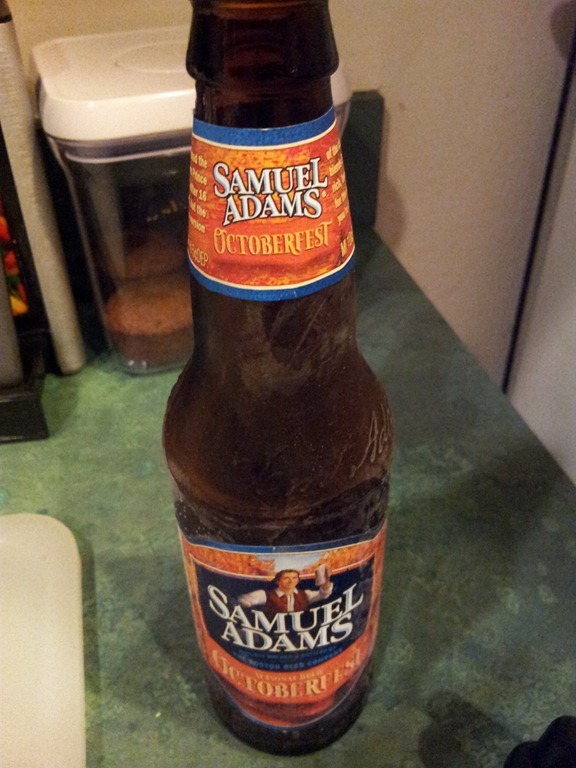 For this prep session I’ll be turning to an old favorite, Sam Adams Octoberfest. 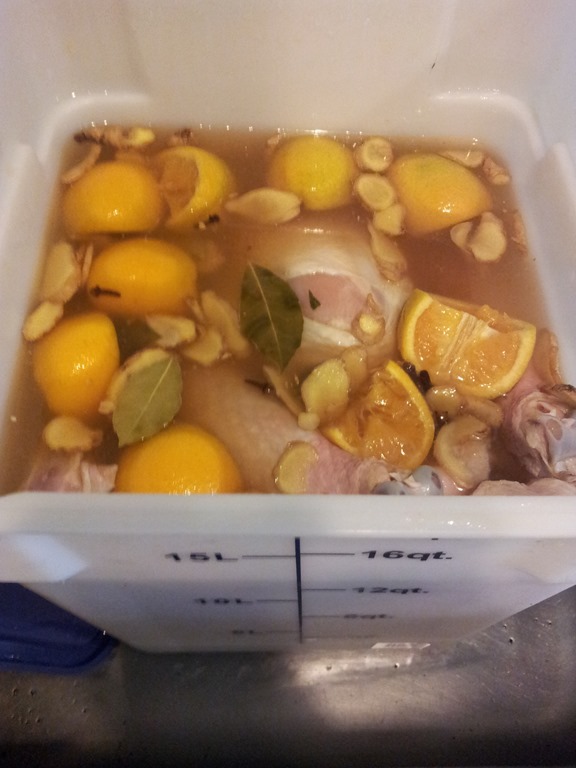 I guess this mixture is more a marinade than a straight brine. 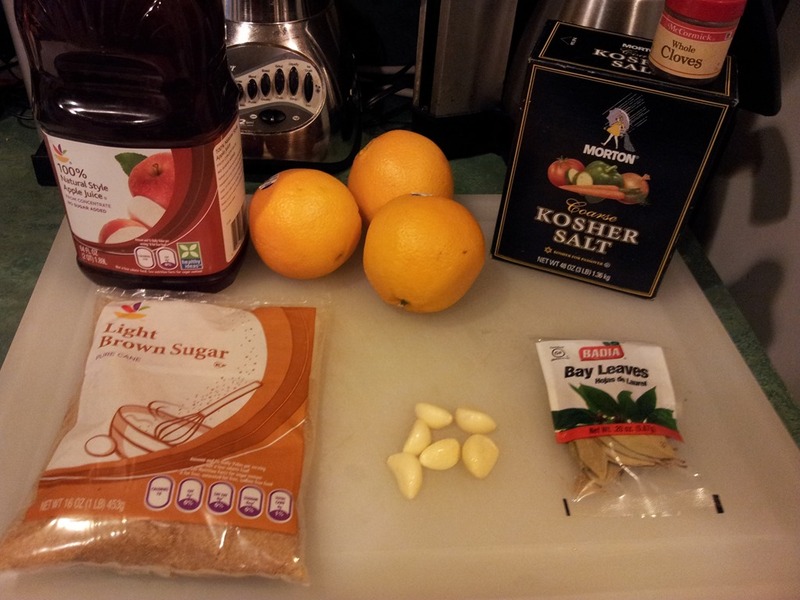 But I guess it is functioning as a bit of both since it has kosher salt and brown sugar. 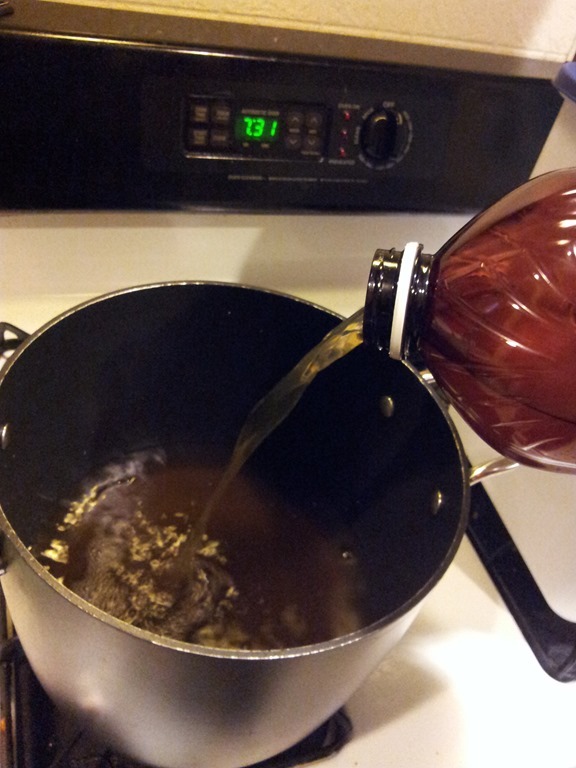 Do yourself a favor and use fresh herbs and brown sugar. The payoff is worth it. After all, you will be eating this. 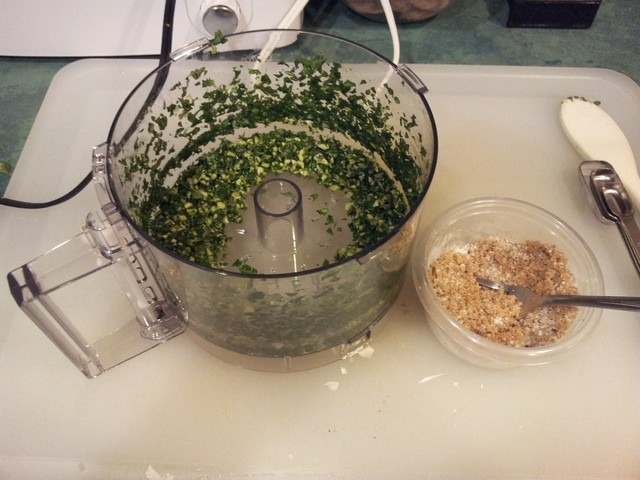 In the picture below I’ve minced the garlic (peeled) and basil in my food processor. In the other container I’ve mixed the dry spices. 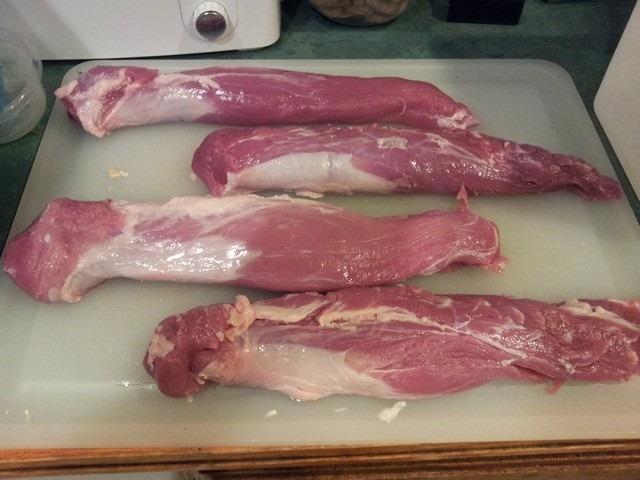 My wife picked up this pack of pork tenderloins at our local Giant Supermarket. 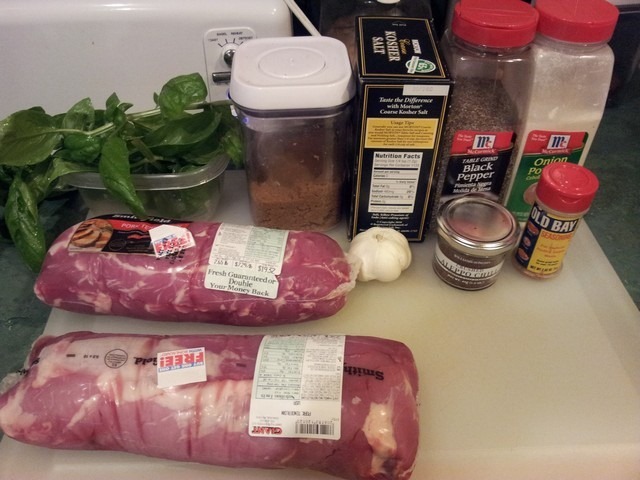 I was originally going to cook Bone-in Pork Loin Roasts, but these were on sale. As you can see, I was accommodating. 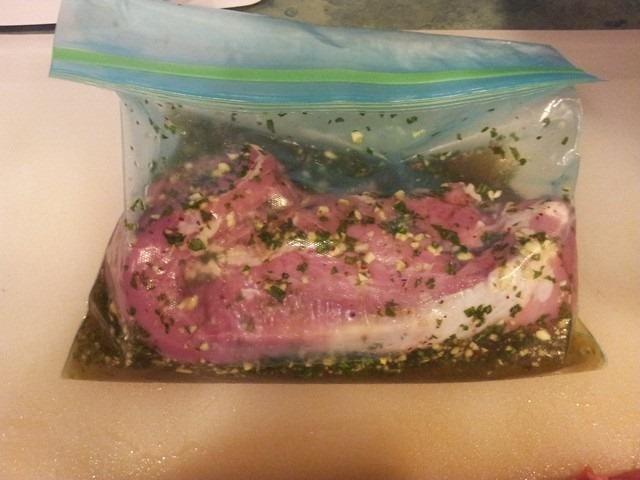 Here you see two tenderloins in a 1 Gallon ziploc freezer bag. I split the resultant mixture in half and poured it over the tenderloins in both bags. I plan on marinading these overnight and cooking them tomorrow. 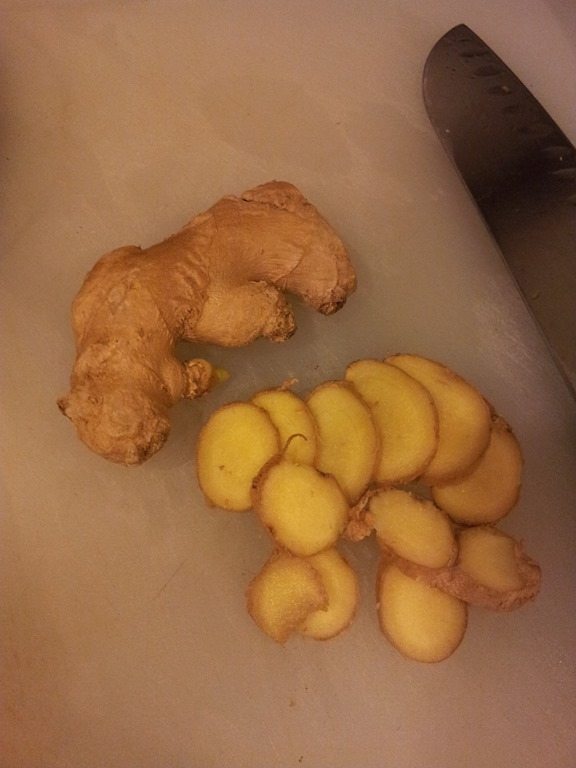 I’ll be back with the second half of this post after I cook these.